I know this is quite cliche', but it's the Christmas season and all of us slip into the cliche' at some point during December. So I'm going to use my pass on this one: the top ten books I read this year. You may notice that not all the books that make the list were published this year. This is because this is the first year I've been on a serious reading regimine, thus I had some catching up to do in books from past years as well. Before we begin, I am greatly obliged to those publishers and bookstores who have made much of my reading possible this year through providing free materials for review. We hope your trust in Christians In Context was not without return. Notably, I must thank InterVarsity Press, NavPress Publishing Group, Thomas Nelson Publishers, Tyndale Publishing and the Westminster Bookstore. A beautiful and much needed book for Christianity, John Piper deals thoroughly with the rebirth, regeneration, and new life of the Christian. It is exhaustive without being exhausting or intimidating (as Desiring God and some of his other works can be at times). A great place to start to understand the Reformed position on God's role in our salvation. This may be the least well-known book on this list, but Greg Koukl (host of the weekly Stand To Reason radio program) has written the perfect handbook on apologetics. 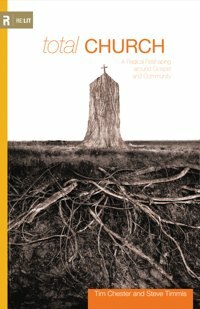 He is not answering specific challenges leveled at Christian apologists, rather his book addresses techniques (or tactics) for making a defense for the Christian faith in a way that is honest, charitable and winsome. This book is uniquely helpful. If there were two cultural movements that generated the most Christian books this year, I am guessing it would be the New Atheism (from without) and the Emergent church (from within . . . Sorta. Maybe. Even they would probably equivocate here). Why We're Not Emergent is a good introduction to the debate though it's obvious which camp they are coming from. 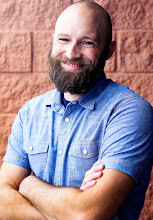 As a Christian in the movie industry, Brian Godawa is uniquely positioned to write this book. Even for those of you who don't spend much time talking or thinking about worldviews, this book has much to benefit from. 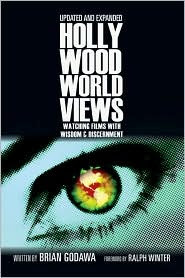 In particular the first and last chapters lay out some excellent guidelines and principles for watching and engaging with Hollywood and it's culture. This book was well written, even better thought-out, and I endorse it to anyone who likes movies. I'm assuming that's all of you. This book will not be for everyone, but for those in church ministry this is a must-read. While not a revolutionary book on how to "do church", it gives a wonderful picture of how a healthy church "does life together". (Shoot me for using those phrases) Do you believe church is simply meeting once a week? You must read this book. Do you believe it is something much more? You will love this book. In Hidden Worldviews, Authors Steve and Mark deal with what they call "lived worldviews". These lived worldviews include such ideas as individualism, consumerism, nationalism, moral relativism and salvation by therapy. Every chapter details both the truth or good as well as potential problems of each worldview before drawing a conclusion. In this manner, the authors present a very even-handed treatment of each idea without sounding alarmist or too "Chicken Little". A very refreshing read and quite unique in it's approach and subject matter. 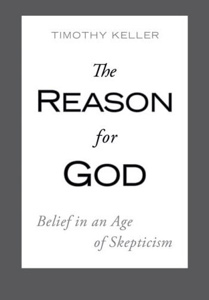 Dealing with some of the biggest and most common objections to Christianity, Tim Keller has written one of the best apologetic books for Christianity that I have ever read. So good, in fact, that I have not been able to keep it in my possession since reading it because I've been perpetually loaning it out. Yes, as I warned, this book is the best example of how behind I am on my reading. I'm sure this was on everyone else's list five years ago but better late than never I suppose. And I certainly see what all the hype was about. Don talks about his own spiritual journey in a very existential manner, but there is enough orthodoxy in here to keep even a doctrinal stickler as myself mollified. 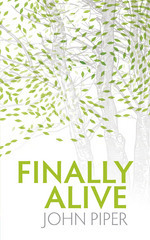 Steve and Brian have written the best book I have ever read for the Christian and poverty relief. This book is full of insights from two guys that have seen it work on the ground level. Insights like: how poverty of all sorts is linked to man's fallenness, the different stages of poverty and the different ways they need to be addressed, and how we perpetuate instead of alleviate poverty by just throwing money at it. This book is greatly needed and will become more important in the coming years as celebrity poverty aid and social justice gospels grow in popularity. I am well aware that my number one book is probably not on anyone else's list or even on their radar. And it is their loss. While not everyone liked this book as much as I did (Pastor Lee), no other book this year made me goose-bumpy or made me laugh and cry at the same time. His writing evokes emotion like the best fiction, scratches the brain like the best philosophy, and stirs a love for Creator and creation like the best theology. His thoughts come out jumbled and scatter-shot, but in the end he paints a beautiful word picture.